Cartisan Magnetic Adapter Pack comes with two magnets that will work with any 510 Magnetic Cartridge Battery! The Cartisan Vape Magnet is a magnetic adapter pack that comes with 2 magnetic 510 adapters, one for 0.5ml and one 1.0ml 510 atomizers. These magnetic adapters will work with The Mystica, Black Box, Yocan Uni, and any other 510 magnetic cartridge battery. These magnets are super convenient for discrete, conceal carry vape devices. 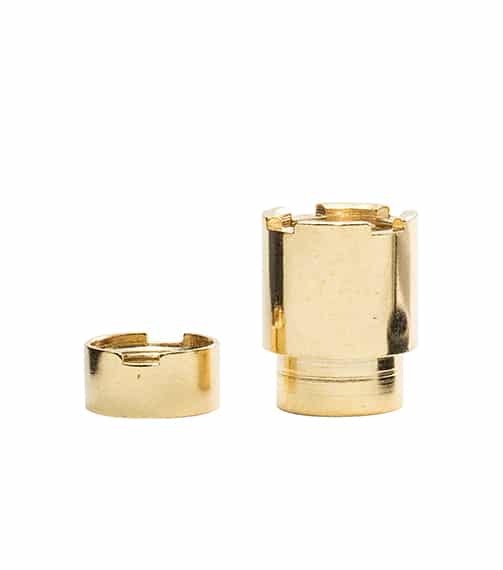 Simply screw the magnet onto your 510 atomizer, drop it into your device, and you’re ready to go!